USO Mondeville have made the final addition to their LFB team roster: Angie Tchoumba who played with Rennes in NF1 last season. She will play with the second team in NF2 as well as for the LFB team. The more interesting news from Mondeville is the announcement from Caroline Aubert that she is not playing next season. Yet she will be joining the French team in preparation for the EuroBasket qualifiers at the end of the month although she would like to have a baby. However she might appear on the market if a club is looking for a point guard in case of a delay in her family plans. Leslie Ardon (No:11 in picture) is coming back to play in France. Before going to Seton Hall University, Ardon developed her basketball skills at Bourges Basket Academy and played on the same team as Sandrine Ronot. She also mixed with a young up and coming Russian player by the name of Ilona Korstin. She has played in Spain for four seasons. 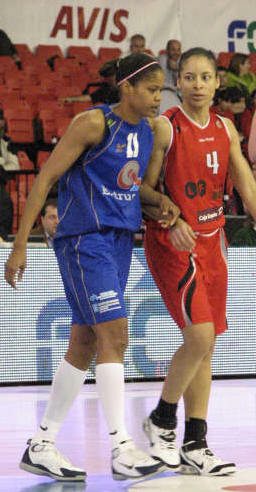 This will be the first time for her to play in the LFB for another club other than Bourges. Camille Aubert, who is recovering from her ligament injury, has also signed for the club. She was at USVO last season and was the understudy to Italian international Francesca Zara and got plenty of play-time in the LFB and EuroLeague Women. Sarah Ouerghi has signed for a one-year deal with Reims after playing for local rivals Charleville-Mézières for the past three seasons. Amélie Pochet will be hoping to bounce back at Reims after a difficult season at USVO. Reims will also be looking for a new assistant coach as Olivier Audegond is taking a break from basketball. 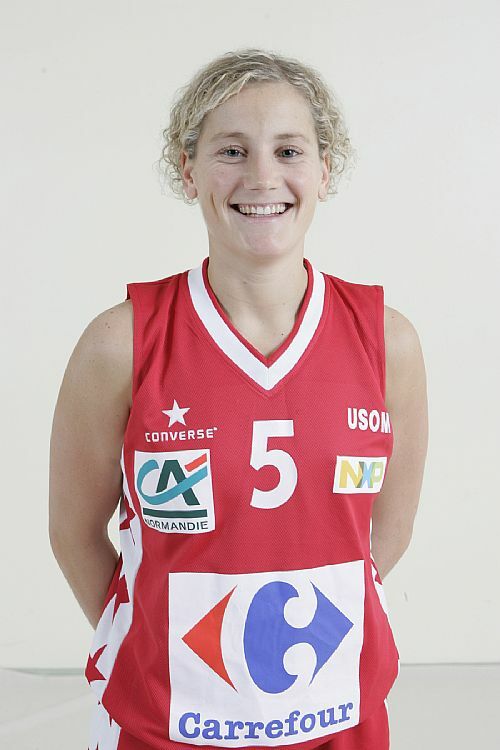 Tarbes completed their recruitment early and announced the new team roster that did not include Laure Savasta. She has finally come out and ended all speculations about her future as she decided to retire. She would not be comfortable playing in any other team jersey than Tarbes’. 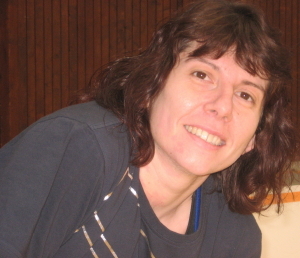 She spent the last eight years of her 16-year career in Tarbes. While Tarbes have brought in seven new players for next season, they have allowed three of their youth players to leave. Alex Kusion, who passed through the Tarbes academy, will play in Charleville-Mézières while Carole Leclair has returned to her roots and will play for Rennes. Bulgarian youth international Jaklyn Zlatanova has signed for Lot-et-Garonne UST, currently in NF3, but hope to acquire the sporting rights of Toulouse Cheminots Marengo Sports and then be NF1. Fabrice Courcier was looking for a second point guard for his squad and made an offer that Bintou Dieme could not refuse. She leaves Villeneuve d’Ascq for the new club and will be reunited with Kathy Wambe. Dieme did play for USVO for one season as a youth player in 2001-2002. She is likely to be the last signing for the club. On the other hand the future of Emilie Gomis is uncertain. Her knee injury is more complicated than first diagnosed and it is not clear when she will be back on the basketball court.